Music makes the world go hmm! 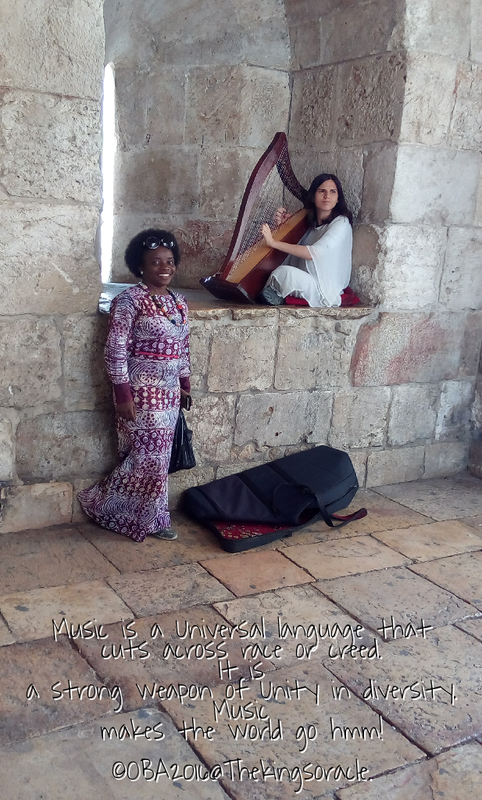 This beautiful Lady played a warm melodious tune from her Harp right at the entrance of the Jaffa Gate leading to the infamous Jaffa Market. I was drawn to her as she played the instrument effortlessly while anyone that cares dropped a coin or a note! I thought to myself, “The power of music unites and connect people instantaneously. Music makes the world go , hmm! !